Bowel cancer claims 77 Australian lives each week. It is Australia's second biggest cancer killer. 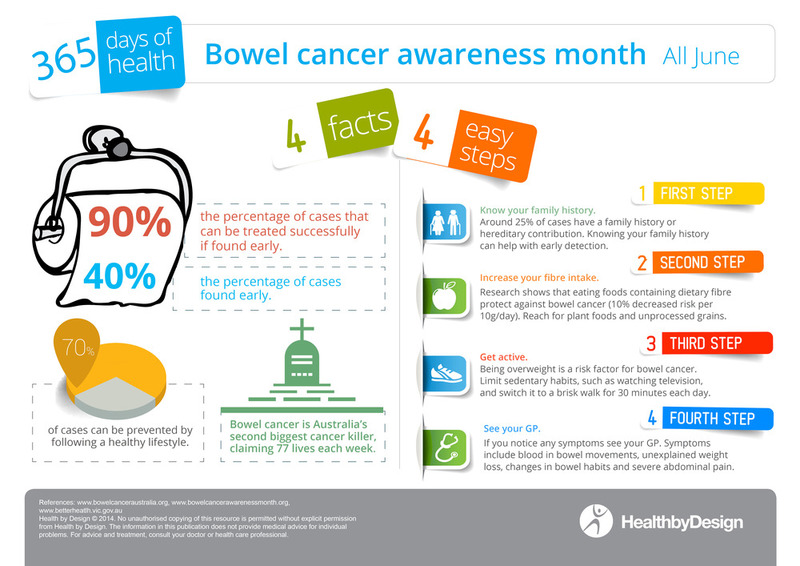 Promote the Bowel Cancer awareness and prevention message by downloading this free poster and sticking it up in a high traffic area of your workplace today.